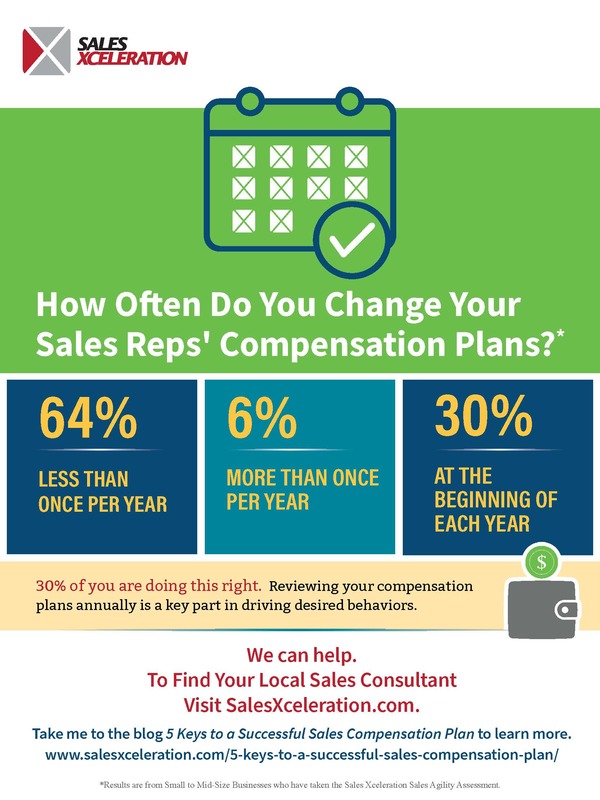 How Often Do You Change Your Sales Reps’ Compensation Plans? 30% of you are doing this right. Reviewing your compensation plans annually is a key part in driving desired behaviors. We can help. To find your local sales consultant visit SalesXceleration.com.